If you'd like to try paddling, check out this information on kayak rentals in the area and give it a go. I enjoy kayaking. I've paddled out to Shark Tooth Island (permit required) for the day with a friend. It was a blast! We packed a picnic lunch, paddled over to the island, did some exploring and hunted for fossilized shark's teeth and worked on our suntans. It was a great day, full of fun - and surprises. A fish jumped over the front of the kayak and that caught us off guard. If you don't have your own, that's no problem. 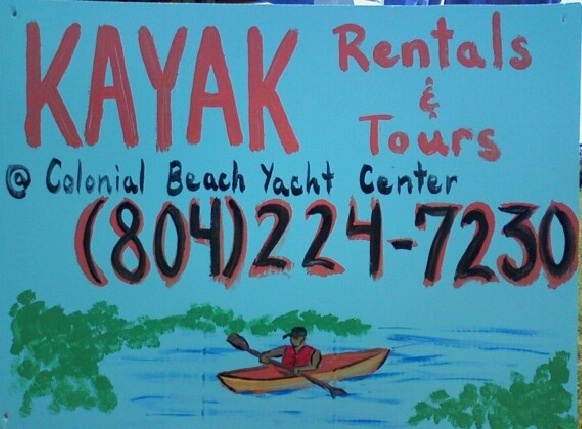 There are local businesses that have kayak rentals. 20% Group Discount on Rentals for Groups of 5 or More Life Jackets and Paddles are Included. Ask about their Sunset Tours! 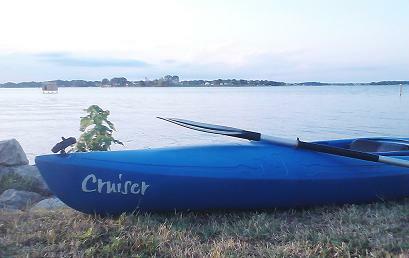 They offer Kayak Interpretive Trips which include basic instruction, safety tips, a guided tour of the shoreline and plenty of kayaking. The park offers two types of trips: the Pirates, Privateers and Patriots trip on Friday evenings from mid-June through mid-August, and the Fossils, Eagles, Herons and History trip on Sunday mornings from Memorial Day to Labor Day, from 11am to 1pm and on Saturdays from May through October, 9 to 11am. The park charges an extra fee for tag-alongs. Pre-register by calling 1-800-933-PARK at least one day prior to the trip. Kids 6 to 12 must be accompanied by an adult; no pets or children under six allowed. All trips begin at the Osprey Boathouse, and Paddles and jackets are provided. Capacity is 16 persons per trip; walk-ins may check in person at the boathouse for open slots. The park is located at 1650 State Park Road, Montross VA 22520.